I had several posts about Mossberg 500/590 and was surprised by number of questions about this shotgun. First of all, I recommend checking infographic: Differences Between Remington 870 vs Mossberg 500 shotguns. It explains differences in controls and design. Mossberg 500/590 is a great and very popular shotgun. There are 10,000,000 of Mossberg 500/590 shotguns made to date. So, this post is about the best and must have upgrades for Mossberg 500/590 shotguns. There are many upgrades and accessories for this shotgun. You can upgrade almost any part of the Mossberg shotgun. And that is great because you can customize it to fit your needs. Hunters need longer barrel and sling, law enforcement officers need short barrel, sidesaddle and flashlight. Mossberg 500/590 cab be used successfully for any purpose: hunting, home defense, tactical use, survival etc. So, let’s start with the best inexpensive but must have upgrades: safety button and follower. Standard Mossberg 500/590 safety is made of plastic and has low profile. Aftermarket oversized safeties have larger profile for more reliable work. They are made of sturdier aluminum or steel. You can disengage oversized safety faster and easier. Unlike factory safety, it is easy to disengage oversized one even when wearing gloves. There are two of the most popular oversized safety buttons available for Mossberg 500/590: Brownells and Vang Comp Systems. VCS is a company that is well know for quality upgrades and accessories for firearms. Vang Comp Systems Mossberg 500/590 oversized safety is CNC machined of billet aircraft-grade aluminum. It is sturdy, it is rock-solid. Mil-spec hard coat anodize to withstand hard use. Oversized safety enables shooter to manipulate shotgun even under stress when fine motor skills don’t work. Vang Comp Systems Mossberg 500/590 safety is taller and wider than factory safety button. It is much more comfortable to use. Your thumb will never miss this button. Install oversized safety for faster and more reliable disengagement. Installation is easy. Hex head screw, stainless steel lock washer and hex wrench included. 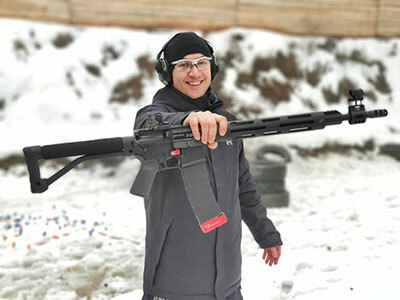 Brownells makes a lof of high-quality firearms upgrades and accessories. And Brownells Oversized Safety for Mossberg 500/590 is no exception. Safety is made of steel which makes it simply indestructible. It is heat-treated for extra hardness and wear resistance, with a durable, matte, black oxide finish. Oversized safety has a raised, crisply grooved ridge for easy operation. Your thumb will have more surface for faster disengagement. Steps in the body of the safety are cut deeper than factory part for additional grab even with wet hands or when wearing gloves. The unique feature of this oversized safety is reversible design that allows shooters with small or medium-size hands to position the thumb ridge farther back to help them operate the safety without having to break their grip; shooters with large hands can place the ridge forward to give them more room. I don’t like Rem 870 factory follower and recommend to replace it with one of the aftermarket Remington 870 magazine followers. But standard Mossberg 500/590 is made of metal and works properly for thousands of rounds. You can replace it if you want to change color or try magazine follower made of different material: Mossberg 500/599 Magazine Follower on Brownells. 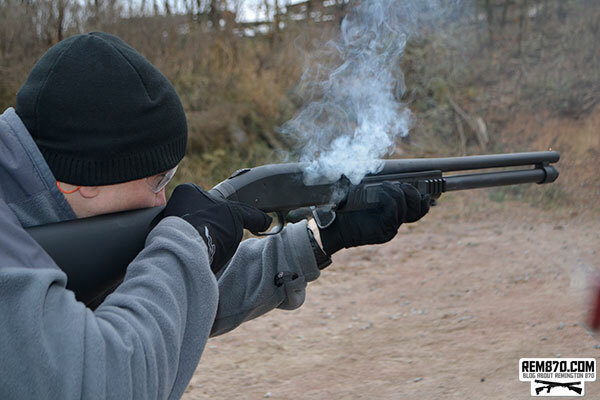 Sidesaddle is one of the most popular accessories for shotguns. It is very nice additional to any scattergun. 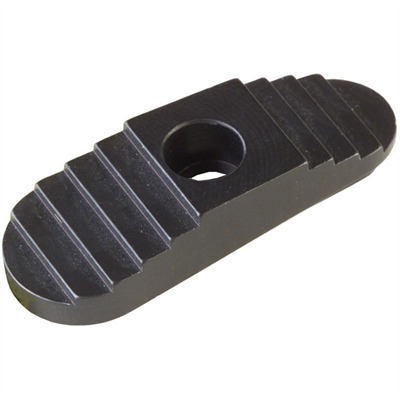 Receiver mount shell carrier enables you to have from 4 to 8 rounds on your Mossberg 500/590. 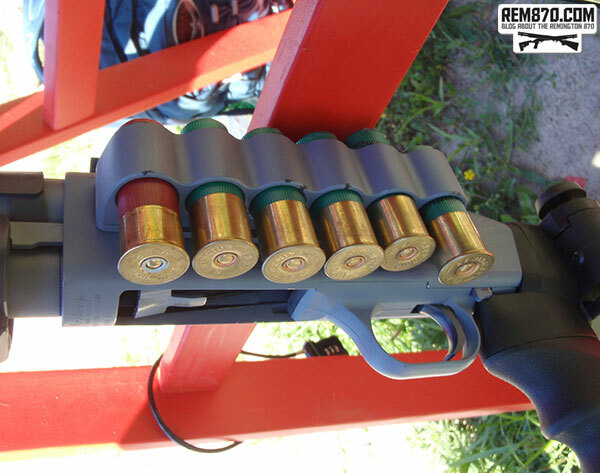 It is important to have additional ammo because magazine of shotgun holds only 4-8 rounds. If you store your Mossberg 500/590 shotguns unloaded then sidesaddle is a must have upgrade! When you grab your shotgun in the night, you have only ammo that is in the shotgun and on the shotgun. Sidesaddle enables you to have 4-8 rounds on a shotgun and don’t search for ammo under stress. Many police officers have sidesaddles installed on their shotguns. Usually, they have different types of ammo in a receiver mounted shell carrier. It is good to have both slugs and buckshot in sidesaddle. 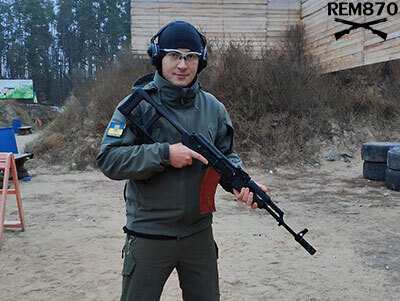 That way, you can be flexible and choose ammunition you need at the moment. It is very easy to use a sidesaddle. You just need to train to load ammo from a sidesaddle several times and you will see how easy it is. It is comfortable to load both chamber and magazine tube from sidesaddle. 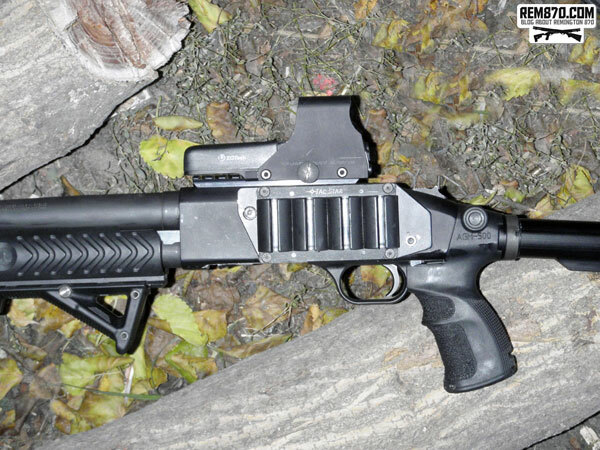 There are several companies that manufacture sidesaddles for the Mossberg 500/590 shotgun: Mesa Tactical, TacStar. 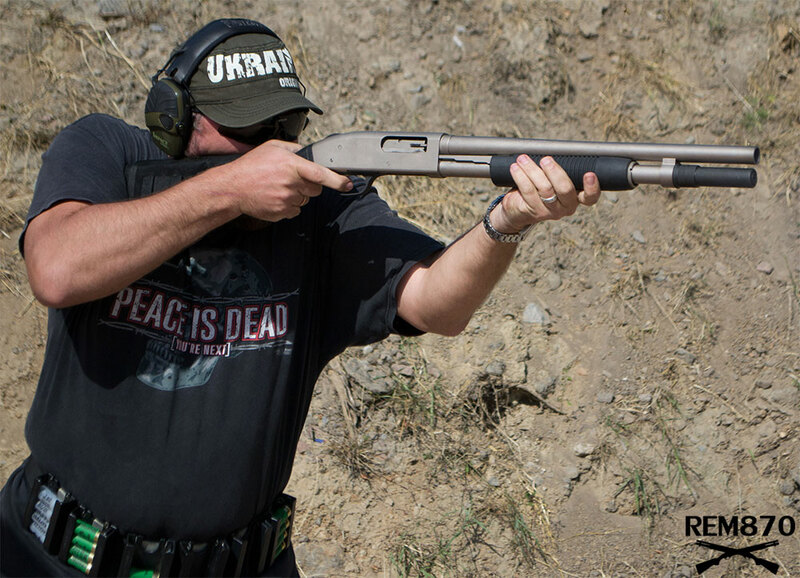 Mesa Tactical offers by far the most options for tactical or home defense Mossberg 500/590 shotguns. Mesa Tactical Sureshell sidesaddle is the most expensive but the most reliable one. It is made of aluminum which is very difficult to damage. Other companies offer plastic sidesaddles which are cheaper but not as reliable as aluminum. On the inside of the shot shell holder there is an elastomer tube made of Santoprene thermoplastic. This elastomer helps to keep the shot shells snug while inserted in the shell carrier. All of the Mesa Tactical sidesaddles for Mossberg 500/590 are sold with a back up white elastomer tube that can be swapped out by unscrewing the screws found in the back plate of the sidesaddle. 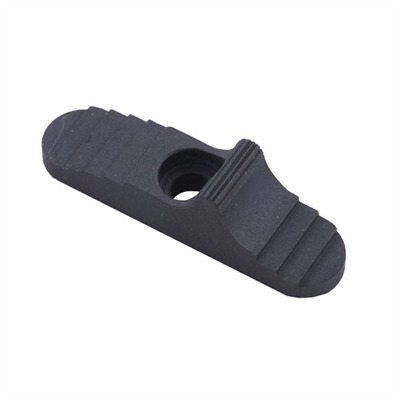 All Mesa Tactical sidesaddles also come with an adhesive backed rubber gasket, this gasket will help prevent the sidesaddle from making surface contact with the receiver. The gasket acts as a protective layer between the back of the sidesaddle and the surface of the shotguns receiver thus protecting the Mossberg 500/590 shotguns finish and preserving its market value. 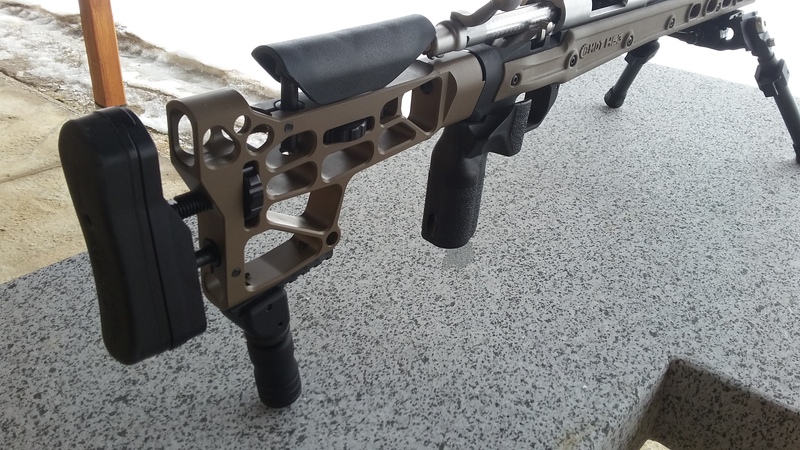 TacStar has been known as an inexpensive alternative to some of the more expensive sidesaddles currently on the market for a variety of shotgun platforms. They manufacture sidesaddle for Mossberg 500/590. It is inexpensive and many shooters use this model without any problems. The Mossberg 500/590 TacStar sidesaddle is comprised of 2 pieces, the aluminum sidesaddle receiver mounting plate and a nylon plastic 6 round shot shell holder mounted to the shotguns receiver using two large Allen screws. The nylon plastic shot shell holder is held into place on the aluminum mounting plate with 6 flat head Allen screws. One of the problems with the Mossberg 500/590 TacStar sidesaddle is that a few of the 6 flat head Allen screws would come loose due to the recoil of the shotgun. Because of the open design, once the small flat head Allen screws start coming loose they will fall off into the dirt, grass and so on and the shooter will most likely never see them again. Applying a bit of Loctite to all of the screws might help prevent this from happening. The second problem you can have over time the two large sidesaddle mounting screws (that screw in through the receiver and into the aluminum mounting plate) had actually ripped the threading out of the mounting plate. Upon inspection, the only hypothesis I could come up with was that once again the recoil and frequent use had something to do with it. I called TacStar and had them send me another mounting plate and screws free of charge. My customer service experience with TacStar was exceptional. Not everyone will experience the same issues but since I’m a fairly avid shooter I will assume I’m not the only one who has experienced similar malfunctions with the TacStar 6 round sidesaddle. 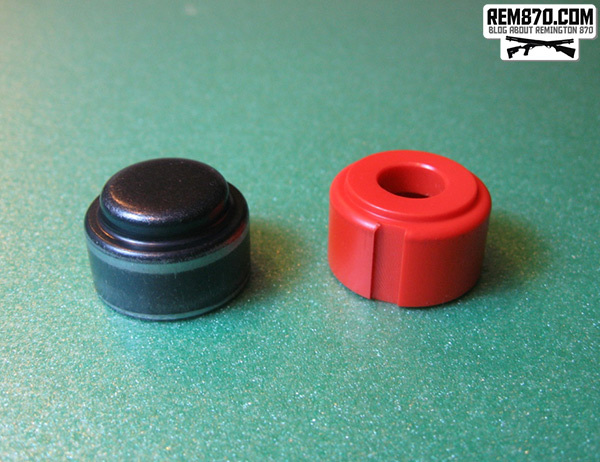 Several of the readers of the Rem870.com blog also had similar problem with sidesaddle mounting screws. This sidesaddle is recommended for a budget build and people who don’t anticipate shooting frequently. As there are many people who don’t mind looking past the design flaws for the justifiability of the low price. Mossberg 500/590 shotguns often hold up to five rounds of ammunition, but when you add the extension you should be able to hold up to ten rounds. The people who use magazine extensions are usually those who practice at a shooting range or want to use shotgun for home defense. It is for people who want to shoot at a target closer to them while firing multiple consecutive rounds. Police and members of law enforcement commonly have these extensions on their department issued shotguns. That way they don’t have to worry about running out of ammunition too quickly when they are shooting at suspects or enduring a tough situation where they wouldn’t have too much time to reload. As for homeowners looking to protect their families, it is your choice as to whether or not you feel that an extension is necessary. Usually you will be shooting close range at an intruder, but it is to possible a target under stress. So it is better to have additional ammo in your shotgun. Magazine extension tube is one of the first upgrades shotgun owners usually buy and install. This is understandable because shotguns have very limited number of rounds. There are a lot of different magazine extensions available on the market. You can get magazine extension separately or complete magazine tube extension kit. Nordic Components Magazine Extension for Mossberg 500/590 is one of the best ones. It is made of aluminium. It consists of 3 parts (tube, tube cap, tube nut). 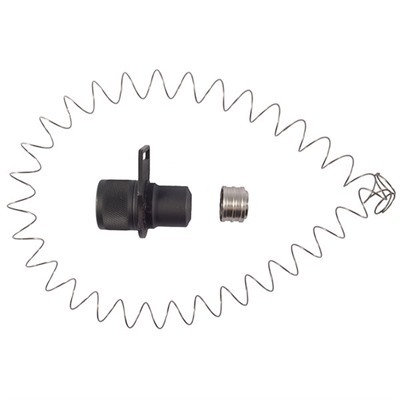 This extension comes with high-quality spring with black coating. And the best thing – a lot of shooters use these extensions and have no problems with them. This extension is lightweight. If you compare it to other ones you will see a great difference in weight. IT is nice to have such lightweight extension for better balance. It consists of 3 parts: tube, tube end cap, tube nut. This allows you to have one +5 tube for competitions and one +3 tube for home-defense. +5 tube allows to have more rounds but it sticks out too much, it is much better to have a shorter tube for use in close quarters. Also, after installation, you can take out the end cap and look inside your magazine tube to check if everything is ok. This is one of the best magazine springs. It will fit any magazine extension you can find. Updated Modular eXtension Tube incorporates new features designed to eliminate common problems with shotgun magazine extensions. The MXT features a reinforced magazine tube end-cap, which prevents end-cap damage from high recoil and impact. A new clamp relief groove eliminates clamp slip during recoil, which can damage the finish of the firearm and change the point of impact. MXTs feature the same threads on either end of the tube, allowing the user to flip it, changing the location of the clamp groove. The price of this magazine extension tube is about $80. Short, screw-on magazine extensions add one or two additional rounds to tactical and sporting shotguns without increasing overall gun length. Replaces factory magazine cap with no permanent modifications. Machined from solid steel bar stock for a much stronger system to resist dents. Included sling loop can be installed for left- or right-handed shooters. Includes a smooth feeding stainless steel follower for enhanced reliability. Mossberg 500 doesn’t allow you to simply install extension because of the construstion of the barrel. That is why you have to buy a new barrel and magazine extension to converts your field gun to a tactical home defense shotgun. High quality, OEM components allow you to easily transform your Mossberg 500 into a reliable, high-capacity, self defense weapon. 20″ long barrel chambered for 2¾” and 3″ magnum 12 gauge loads features a fixed cylinder choke for maximum pattern coverage at combat ranges. Plain brass bead front sight for fast easy sight acquisition. 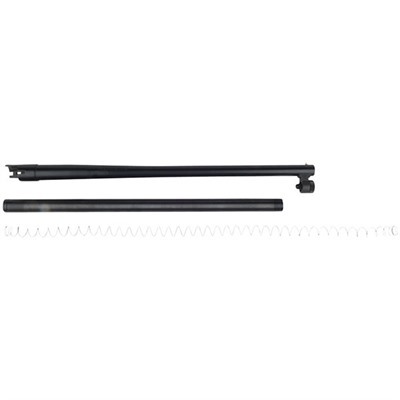 Magazine extension threads solidly into the receiver to provide 8-rounds of firepower; knurled takedown screw retains the tube in the magazine support on the barrel to eliminate the need for a separate barrel clamp. 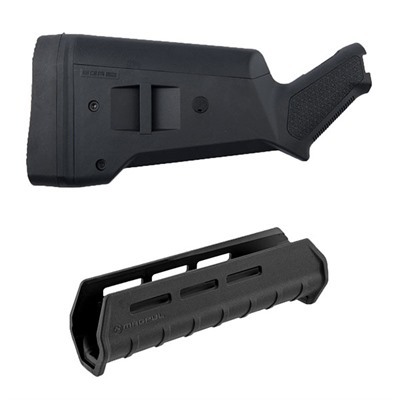 Includes extended-length magazine spring for reliable feeding. 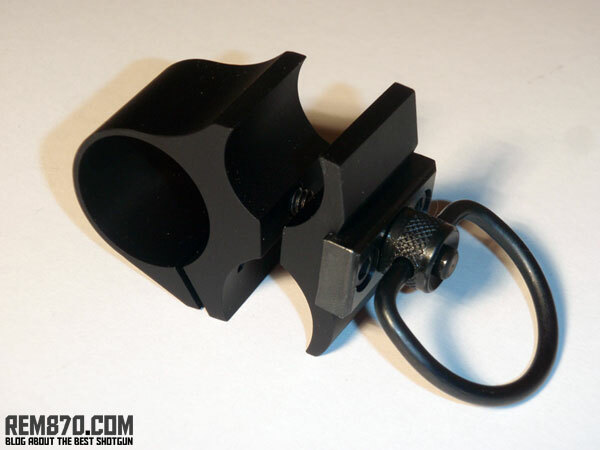 CDM Gear MOD-C clamp is one of the best available on the market. It enables you to have any 1 inch tactical flashlight on your shotgun. No movement under recoil, no scratches because 3M polyuerathane pads were attached to the clamp. Such pads are included and not only protect finish but also eliminate any movement. Some people don’t know but you can attach quick detach swivels on the other side of the CDM Gear MOD-C clamp. This feature is very handy when you need to attach a sling. CDM Gear MOD-C Flashlight holder is not only holds your flashlight reliably but also works as a barrel and magazine clamp. So it has lots of features which you receive in a low profile, light weight, compact and reliable piece of equipment. 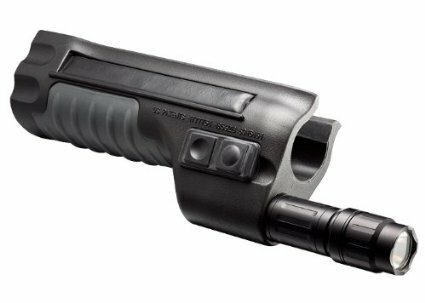 One of the best flashlight for the Mossberg 500 shotgun is the Surefire Forend Light. This is one of the more expensive flashlights but it is also one of the best and most reliable on the market. It is a compact light that integrated to the forend of your shotgun rather than to the side of the shotgun. Some shooters like their light coming from the bottom of their shotgun because it makes the shining light align with the front sight that helps you aim. The Surefire Forend Light retails for roughly $225, but some are more depending on the amount of accessories that come with it. Either way, adding any kind of light source to your Mossberg 500 shotgun will be beneficial to you in the long run. The SGA is an adaptable stock for the Mossberg 500/590/590A1 12 gauge shotguns, designed with a wide range of customizable features and accessories to meet individual end-user needs. You can adjust Length of Pull, add cheekriser, sling apapters etc. The M-LOK Forend is a simple, lightweight forend for 500/590/590A1 12 gauge shotguns with 7-5/8″ action tube assemblies, designed to provide much-needed adaptability with the attachment of optional M-LOK accessories and mounts. NOTE: The Mossberg forend in the sets will NOT fit the Mossberg 500 with 6-1/2″ action tube assembly or the Maverick or current production Mossberg 500 synthetic with pinned-in action tube assembly without replacing with the 7-5/8″ action tube assembly.